I highly recommend you take a look at Executive Global magazine, an extremely informative online and print magazine based in London. Readers of this coveted business publication appreciate it’s highly informative and insightful look at the developments shaping our global economy. Guided by expert opinion, and supported by leaders in the fields, the magazine provides a unique platform that aids in the effective management of business, people and revenue, and presents an objective view on geopolitical affairs of the global financial, and capital markets. Providing news and opinion from the most reputable sources around the world, Executive Global’s contributing authors share their personal experience in today’s global economy. I really enjoy watching the Live Streaming Newsfeed covering contemporary business, finance, economic, and geopolitical news developments from around the world in a live news broadcast. Watch the latest news to stay informed and updated on the current events and trends that are affecting the global marketplace in real time. C-Suite executives, entrepreneurs, HNW investors, and directors of many of the world’s leading companies comprise the primary audience for the magazine. That’s pretty good company to keep. I am thrilled to tell you that my stunning luxury estate in Calistoga was featured in the Autumn addition on pages 10 & 11. I find the info I learn in Executive Global extremely important for any and every professional because it offers a unique insight into the state of global business in the contemporary age. The publication brings to light statistics, analysis, strategy, and foresight required to make informed business decisions within the world marketplace. The bottom line: Executive Global provides executives worldwide with the necessary tools to increase productivity, execute effective strategy, and maximize profitability. Now you know my little secret in keeping abreast of the global economy. 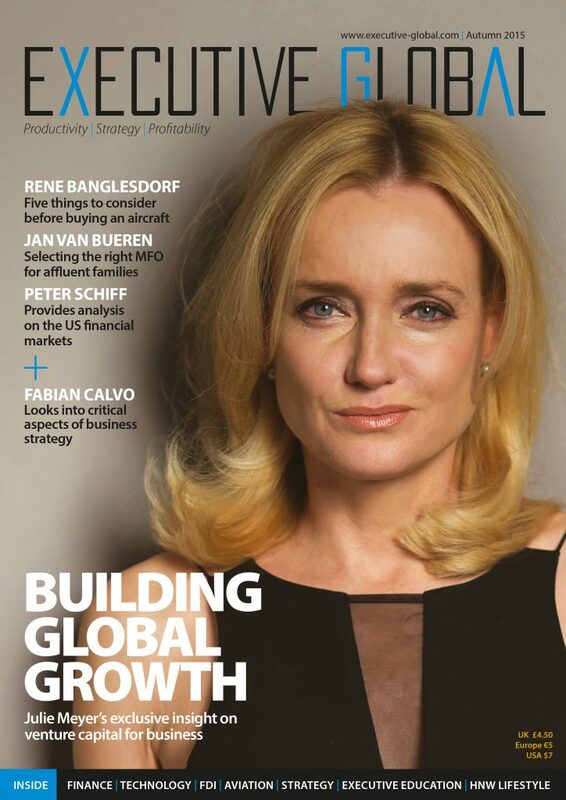 I urge you to have a look at and subscribe to Executive Global magazine. If you’d like to join the ranks of my HNW global clientele and want me to put my knowledge to work for you in the real estate arena in Napa Valley, please contact me at 707-738-4820 or email [email protected]. I have loads of intel on publicly offered and private sales. As a top producing Realtor® in Napa Valley, I have access to some extraordinary wineries, vineyards, estates and homes that are not on the open market. The inventory is extraordinary right now, and each and every property has spectacular views. Let’s work together to buy or sell your property.